Help achieve the energy efficiency goals stipulated by the EmPOWER Maryland legislation. Reduce operating costs for Maryland’s commercial entities. Optimize the energy commercial entities consume. Drive the development of innovative energy technologies with verified potential. The C&I program began in 2014 as an electricity reduction program, open to Maryland businesses, nonprofit organizations, manufacturers, industrial entities, community colleges, and private schools/universities. 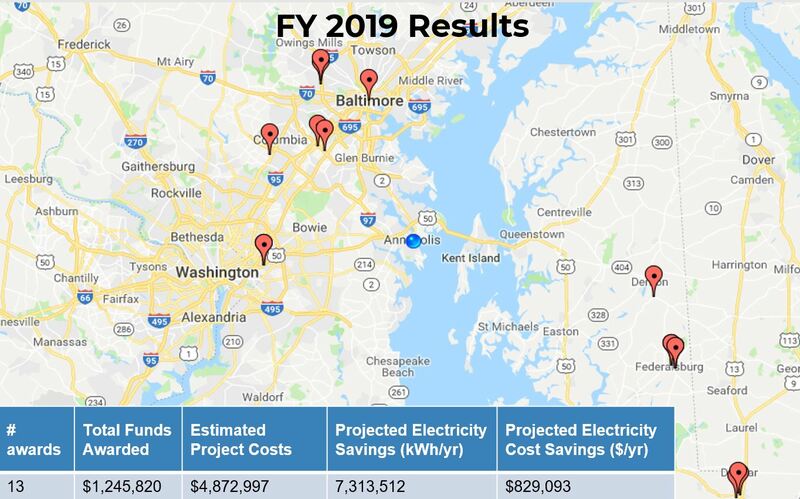 Including the current Fiscal Year 2019 (FY19), the C&I program has provided a total of over $12 million in grants for a wide array of recipients for measures that reduce annual electricity consumption by more than 53 million kilowatt-hours(kWh). Tier 3 – Corresponds to 25.1%+ reduction in overall electricity usage. Incentive Level: Up to 50% of net total project cost, or $200,000, whichever is lower. The thirteen grant winners for the FY19 C&I program were spread across the central part of the State and Maryland’s Eastern Shore as see in the map below. 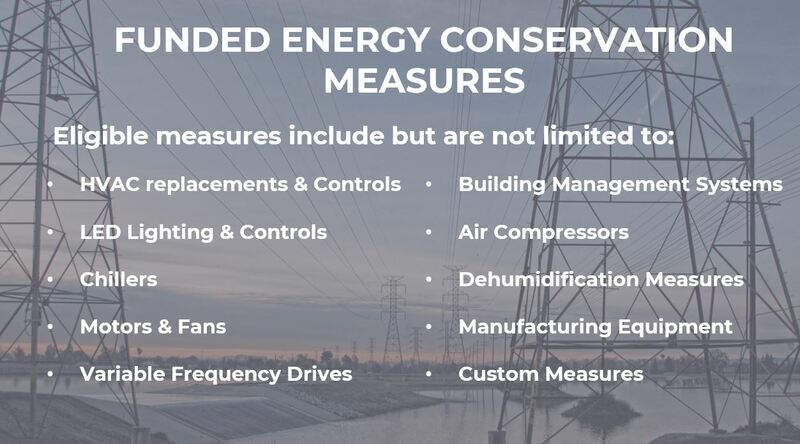 The estimated annual energy cost savings is $829,093 and the projected annual energy savings are 7,313,512 kilowatt-hours; which is equivalent to powering over 700 homes for a full year.